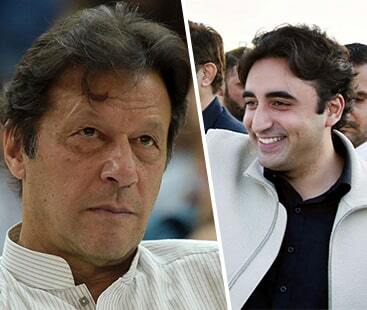 Pakistan Peoples Party (PPP) Chairman Bilawal Bhutto Zardari on Thursday congratulated Prime Minister Imran Khan and his ruling party, Pakistan Tehreek-e-Insaf on ‘World Puppetry Day’. In another tweet posted minutes earlier, Bilawal had criticised the federal government for still not releasing “peaceful” party workers from custody and not sacking ministers associated with banned outfits. Dozens of workers of the Pakistan Peoples Party were arrested by the police ahead of the scheduled appearance of party chairman Bilawal Bhutto Zardari and former president Asif Ali Zardari before the National Accountability Bureau headquarters on Wednesday. PPP leader Qamar Zaman Kaira said more than 200 party workers were arrested and at least 50 workers were missing, as clashes erupted between the workers and police outside the NAB Rawalpindi head office. The workers, who had gathered to welcome their leaders, allegedly pelted stones at police officers who tried to stop them at Nadra Chowk. At least six policemen were injured in the clashes, police officials said. Geo News cameraman Shiraz was also injured. Police officials said that 38 PPP workers were arrested.